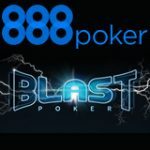 888 Poker has introduced Fast Blast tournaments a new super-turbo variation of Blast Poker which has reduced it's time from 5 minutes to just two minutes. Players can now play for up to 10,000 times the buy-in amount in two minutes, jackpot prize pools amount are determined just before the tournament begins. 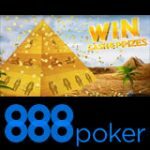 888poker have also added a $10 Blast Poker tournament where players can win a 2017 WSOP prize package as the jackpot prize. 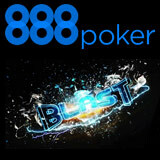 Play for jackpot prize pools and win big in just two minutes with the new Fast Blast tournaments on 888 Poker. 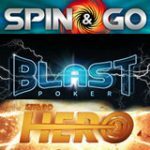 The new variation is in super-turbo format giving players the chance to win in less than half the time of the regular Blast Poker tournament. The Blast Poker jackpot format is available in five different buy-in amounts: 10¢, $1, $5, $15 and $30. Players can play for massive prize pools up to 10,000 times the buy-in amount on 888poker. The Blast Poker prize pool is randomly generated just before the tournament starts, players will then battle it out for just two minutes to determine the winners. Players can now win a 2017 WSOP Main Event prize package valued at $12,500 in the special $10 buy-in Blast Poker tournaments on 888poker. 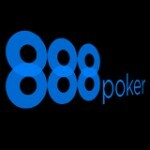 You can also win a World Series of Poker prize package in the 888 Poker WSOP Las Vegas Spinner promotion. Spin the wheel on the Vegas spinner to win prizes. 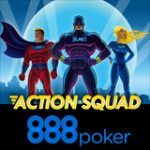 Get up to 10 spins per day by completing 888poker challenges. 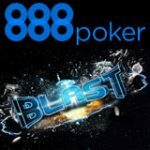 Play the new Fast Blast poker tournaments on 888poker, click on the Blast tab in the lobby to fin all the tournaments and buy-ins, regular, fast or WSOP tournaments.